An hourglass encompasses balance: two equal halves, one empty and one full, both grounding and resisting each other in order to achieve a measure of time. The middle of the hourglass – the tension where opposites meet – is reflected in the imagery present in my works: Male/Female; Freedom/Restraint; Desert/Oasis; Land/Sea; Exposure/Concealment. 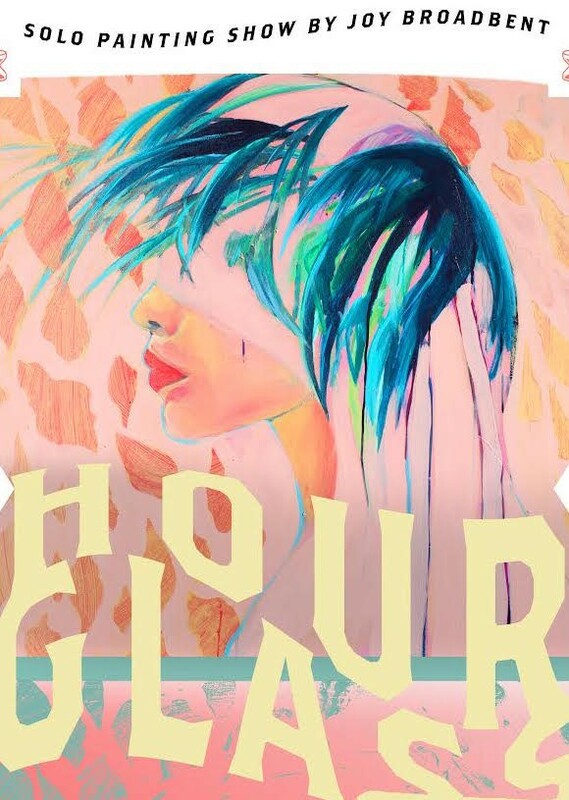 HOURGLASS, a collection of paintings, was born largely out of a recent trip I took to Arizona with my sister to make our short film ‘Clearing Spaces V’. I was inspired by the vast and spiritual landscape of the desert, its self-sustaining plants and cacti. I was compelled to paint Arizona’s sun-bleached colours, capturing the warmth, dryness, and emptiness of a space that, upon reflection, was full of life. This collection of paintings is an exploration of still-life and figures. It pairs flat, soothing colours with luminescent highlights, creating erased, sculptural forms. The paintings are layered with paint in order to both uncover and shelter objects and images. HOURGLASS is a reflection of the focused and minimal quality of the desert that grapples with the inner journey of being emptied and filled. All work for purchase at show.